The tenders have recently been announced, these tenders are for Spirits, we as Concealed wines would like to present you each tender. These tenders would be released in the market in the first half of 2018. The opening date for the tenders would be in first half of 2018. Please follow the links to get the detailed document for each tender. We summarise these tenders to provide our suppliers an easy access to the information. These tenders are only for Beer and Cider. A Coffee Flavored Wheat Beer from any country in 650 ml any type of container. Specification:over 5.0 % alc. vol. Price- 0,3 – 1 € per 650 ml any type of container. Can volume estimation would be 3.500 liters for the initial contract period. The deadline of written offer will be April 1, 2018. For specifications please follow the link below. 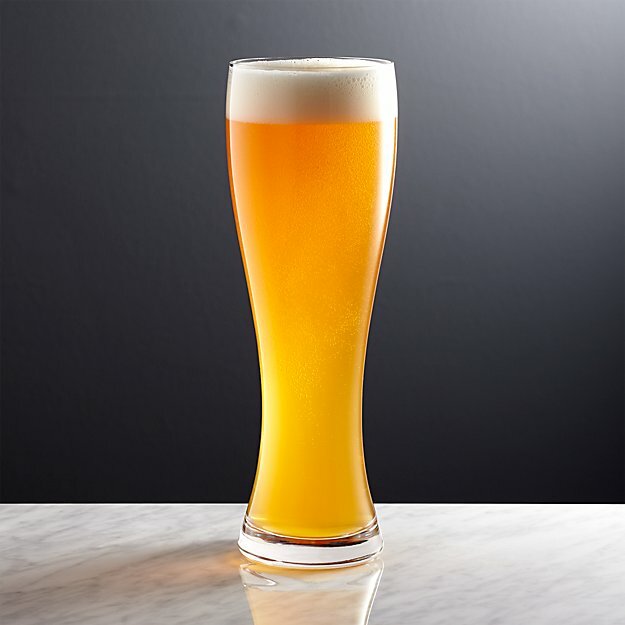 A Wheat Beer eisboch from any country in 500 ml any type of container. Specification: minimum 8.5 % alc. vol. Price- 0,3 – 1 € per 500 ml any type of container. Can volume estimation would be 3.000 liters for the initial contract period. The deadline of written offer will be May 1, 2018. For specifications please follow the link below. Wheat Beer dunkel from any country in 500 ml any type of container. Specification: minimum 5.0 % alc. vol. Price- 0,25 – 0,58 € per 330 ml any type of container. Can volume estimation would be 20.000 liters for the initial contract period. The deadline of written offer will be March 1, 2018. For specifications please follow the link below. A strong ale from any country in 330 ml any type of container. Specification: minimum 6.5 % alc. vol. Price- 0,3 – 1 € per 330 ml any type of container. Can volume estimation would be 4.000 liter for the initial contract period. The deadline of written offer will be May 1, 2018. For specifications please follow the link below. An ale double IPA Beer from any country in 330 ml any type of container. Specification: minimum 7,5 % alc. vol. Price- 0,5 – 0,85 € per 330 ml any type of container. Can volume estimation would be 6.000 liters for the initial contract period. The deadline of written offer will be March 1, 2018. For specifications please follow the link below. A micro brewery ale from any country in 330 ml any type of container. Specification: over 5.5 % alc. vol. Price- 0,3 – 0,5 € per 330 ml any type of container. Can volume estimation would be 20.000 liters for the initial contract period. The deadline of written offer will be January 1, 2018. For specifications please follow the link below. A Helles from Germany in 500 ml any type of container. Specification: over 4.7 % alc. vol. Price- 0,3 – 1 € per 500 ml any type of container. Can volume estimation would be 6.000 liters for the initial contract period. The deadline of written offer will be February 1, 2018. For specifications please follow the link below. A Strong Lager Doppelbock Or Bock from any country in 500 ml any type of container. Specification: minimum 6.5 % alc. vol. Price- 0,15 – 0,35 € per 350 ml any type of container. Can volume estimation would be 25.000 liters for the initial contract period. The deadline of written offer will be April 1, 2018. For specifications please follow the link below. A Lager from any country in 330 ml clear glass bottle. Specification: minimum 2.8 % alc. vol. Price- 0,1 – 0,15 € per 330 ml clear glass bottle. Can volume estimation would be 9.000 liters for the initial contract period. The deadline of written offer will be April 1, 2018. For specifications please follow the link below. 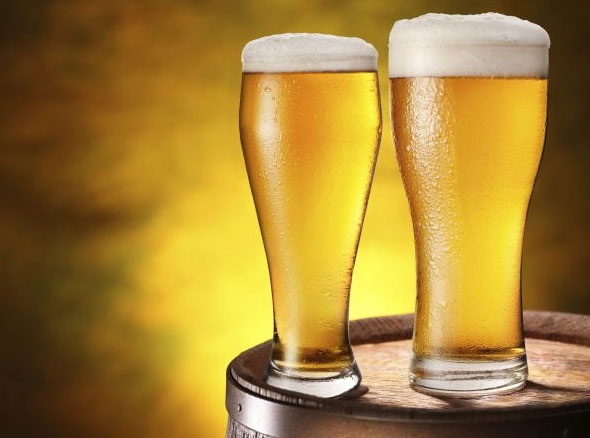 A Pils from Austria, Germany Or Hungary in 500 ml any type of container. Specification: over 2.8 % alc. vol. Price- 0,2 – 0,45 € per 350 ml any type of containerand volume estimation would be 15.000 liters for the initial contract period. The deadline of written offer will be March 1, 2018. For specifications please follow the link below. A Dark Lager organic certified from any country in 330 ml clear glass bottle. Specification: minimum 5.0 % alc. vol. Price- 0,3 – 1 € per 330 ml clear glass bottle. Can volume estimation would be 7.000 liters for the initial contract period. The deadline of written offer will be March 1, 2018. For specifications please follow the link below. A Strong Lager Bock from any country in 500 ml Can. Specification: minimum 6.0 % alc. vol. Price- 0,15 – 0,25 € per 500 ml. Can volume estimation would be 90.000 liter for the initial contract period. The deadline of written offer will be February 1, 2018. For specifications please follow the link below. A Pils from any country in 355 ml any type of container. Specification: over 4.4 % alc. vol. Price- 0,3 – 1 € per 355 ml any type of container and volume estimation would be 10.000 liters for the initial contract period. The deadline of written offer will be January 1, 2018. For specifications please follow the link below. A dark lager from any country in 500 ml Can. Specification: over 2.8 % alc. vol. Price- 0,2 – 0,35 € per 500 ml. Can volume estimation would be 45.000 liters for the initial contract period. The deadline of written offer will be January 1, 2018. For specifications please follow the link below. A Gluten free top fermented from any country in 500 ml Can. Specification: over 2.8 % alc. vol. Price- 0,3 – 1 € per 500 ml. Can volume estimation would be 4.000 liter for the initial contract period. The deadline of written offer will be May 1, 2018. For specifications please follow the link below. A low alcohol bottom fermented Beer from any country in 330 ml any type of container. Specification: 0.6–2.8 % alc. vol. Price- 0,3 – 1 € per 330 ml any type of container. Can volume estimation would be 3.500 liters for the initial contract period. The deadline of written offer will be April 1, 2018. For specifications please follow the link below. A Naturally Gluten-Free Top Or Bottom Fermented Beer from any country in 500 ml any type of container. Specification: over 2.8 % alc. vol. Price- 0,3 – 1 € per 500 ml any type of container. Can volume estimation would be 3.000 liters for the initial contract period. The deadline of written offer will be March 1, 2018. For specifications please follow the link below. A Bottom Fermented Beer Radler from any country in 355 ml any type of container. Specification: maximum 4.4 % alc. vol. Price- 0,3 – 1 € per 355 ml any type of container. Can volume estimation would be 4.000 liters for the initial contract period. The deadline of written offer will be February 1, 2018. For specifications please follow the link below. A Stout & Porter Oyster Stout from Great Britain or Ireland in 500 ml any type of container. Specification: over 2.8 % alc. vol. Price- 0,3 – 1 € per 500 ml any type of container. Can volume estimation would be 2.500 liters for the initial contract period. The deadline of written offer will be February 1, 2018. For specifications please follow the link below. A Non-Alcoholic Flavoured Beer from any country in 500 ml any type of container. Specification: 0–0.5 % alc. vol. Price- 0,3 – 1 € per 500 ml any type of container. Can volume estimation would be 3.000 liters for the initial contract period. The deadline of written offer will be January 1, 2018. For specifications please follow the link below. A Speciality Flavoured Beer from any country in 355 ml any type of container. Specification: over 2.8 % alc. vol. Price- 0,3 – 1 € per 355 ml any type of container. Can volume estimation would be 5.000 liters for the initial contract period. The deadline of written offer will be April 1, 2018. For specifications please follow the link below. A Barrel Aged Stout and Porter from any country in 500 ml any type of container. Specification: over 6.5 % alc. vol. Price- 0,3 – 1 € per 500 ml any type of container. Can volume estimation would be 5.000 liters for the initial contract period. The deadline of written offer will be April 1, 2018. For specifications please follow the link below. A Top fermented Beer (gin barrel treated beer) from any country in 355 ml any type of container. Specification: over 4.4 % alc. vol. Price- 0,3 – 1 € per 355 ml any type of container. Can volume estimation would be 3.000 liters for the initial contract period. The deadline of written offer will be March 1, 2018. For specifications please follow the link below. A Stout & Porter Porter from any country in 400 ml any type of container. Specification: minimum 6.5 % alc. vol. Price- 0,3 – 0,6 € per 400 ml any type of container. Can volume estimation would be 12.000 liters for the initial contract period. The deadline of written offer will be March 1, 2018. For specifications please follow the link below. An IPA or APA from Norway or Estonia in 355 ml any type of container. Specification: minimum 5.0 % alc. vol. Price- 0,25 – 0,58 € per 330 ml any type of container. Can volume estimation would be 18.000 liters for the initial contract period. The deadline of written offer will be February 1, 2018. For specifications please follow the link below. A speciality gose from any country in 355 ml any type of container. Specification: minimum 5.0 % alc. vol. Price- 0,3 – 1 € per 330 ml any type of container. Can volume estimation would be 6.000 liters for the initial contract period. The deadline of written offer will be January 1, 2018. For specifications please follow the link below. A pear cider from any country in 330 ml any type of container. Specification: over 4.0 % alc. vol. Price- 0,3 – 0,6 € per 330 ml any type of container. Can volume estimation would be 2.000 liters for the initial contract period. The deadline of written offer will be April 1, 2018. For specifications please follow the link below. A mocktail from any country in 330 ml any type of container. Specification: 0.0 – 0.5 % alc. vol. Price- 0,3 – 1 € per 330 ml any type of container. Can volume estimation would be 1.500 liters for the initial contract period. The deadline of written offer will be January 1, 2018. For specifications please follow the link below. Tonic water or flavoured Soda from any country in 500 ml glass bottle or Can. Specification: 0.0 – 0.5 % alc. vol. Price- 0,3 – 1 € per 500 ml glass bottle or Can. Can volume estimation would be 1.000 liters for the initial contract period. The deadline of written offer will be January 1, 2018. For specifications please follow the link below. A non-alcoholic cider from any country in 500 ml any type of container. Specification: 0.0 – 0.5 % alc. vol. Price- 0,3 – 1 € per 500 ml any type of container. Can volume estimation would be 2.000 liters for the initial contract period. The deadline of written offer will be January 1, 2018. For specifications please follow the link below. 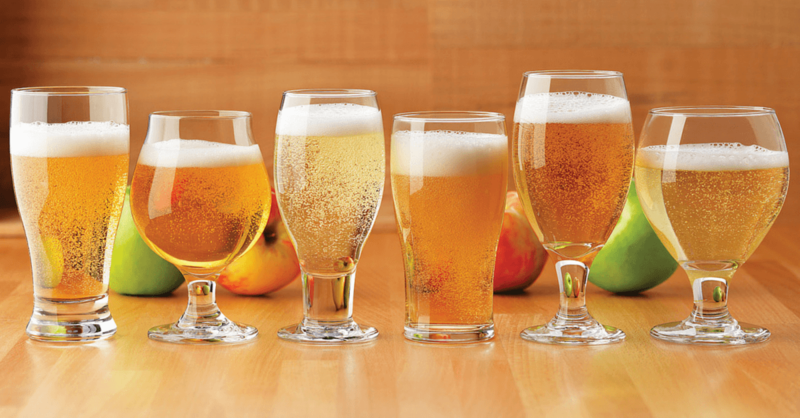 A dry or medium dry apple cider from any country in 1000 ml glass bottle. Specification: over 4.0 % alc. vol. Price- 0,4 – 0,65 € per 1000 ml glass bottle. Can volume estimation would be 10.000 liters for the initial contract period. The deadline of written offer will be February 1, 2018. For specifications please follow the link below.